It's crazy to look back at how far l've come. 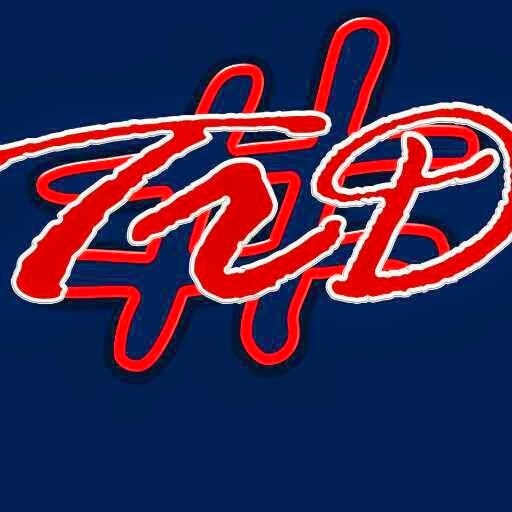 Since starting this blog to help track getting healthy, to deciding to train for a half marathon, it has been quite a journey. It has of course had it's highs and lows. While I haven't accomplished all that I set out to, l think the highs have greatly outnumbered the lows. And frankly, it just means I have room and directions to grow. Believe me, I have no intentions of stopping. 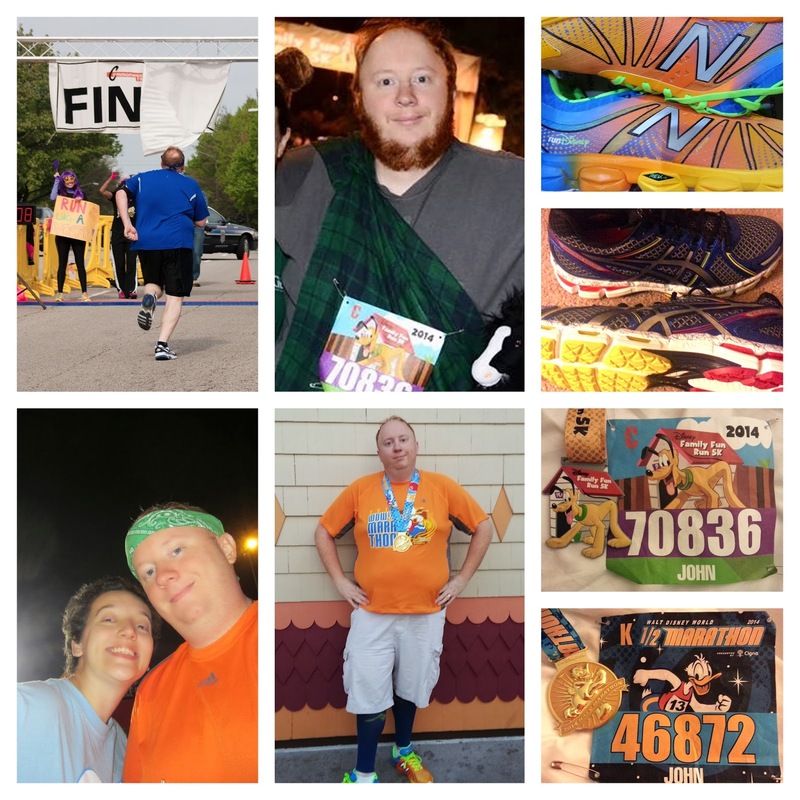 It is funny to look back and see in March I wrote about having a "long term" goal to run a Disney Half marathon only to sign up the next month and finish my first 13.1 miles just 9 months after that. It's amazing how quickly that time has gone. The Jeff Galloway Run-Walk-Run plan was amazing. It was really the key to my success. 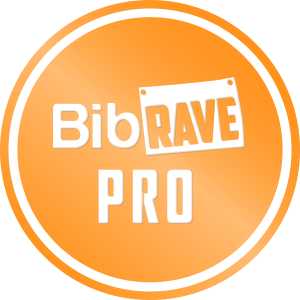 It helped me get through my half, even when I was not up on my training, but even more than that, it really helped me build my confidence early that I would be able to do this. I can never thank Jeff enough for that. I hope someday I get to meet him though and get to try. Until then, Jeff, thank you. Thank you for giving me confidence, experience, health and accomplishment. Thank you for helping me give that all to myself. 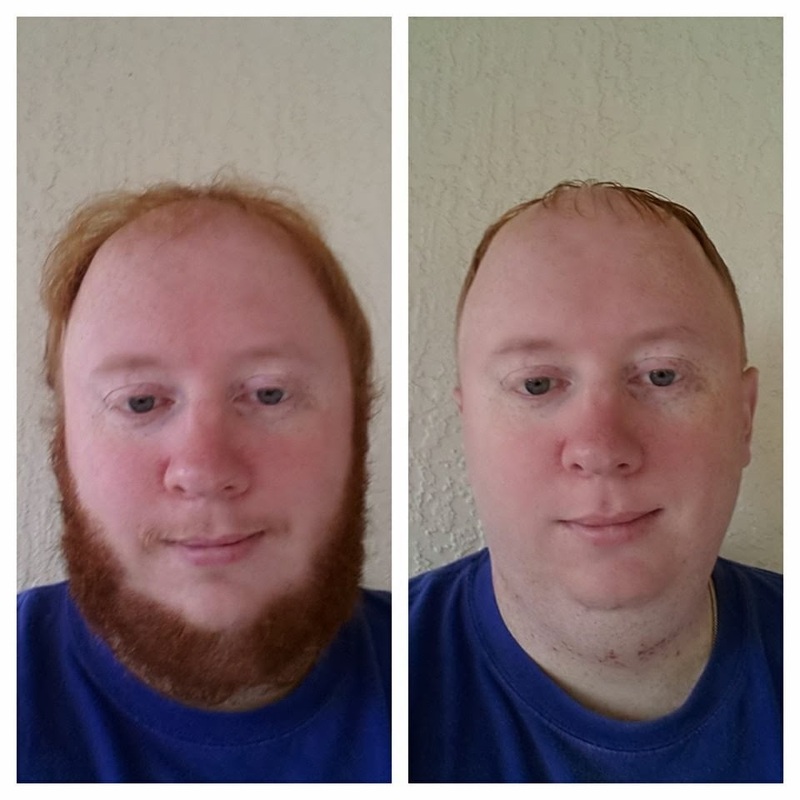 Let's take a look at what I have done getting here, in a little under a year. I've come a long way, but I'm far from done. I'm going to keep running. And first things first, I'm going to work on my weight loss. I haven't made progress in this area. I dropped some and put it back on while being inactive. I'm going to take a step back more towards what I did before my wedding and do more elliptical running than road running. This will help two-fold. First, I can run faster for longer to help rebuild my cardio. Second, I can do this at the gym at work, which avoids the cold weather. After Florida, I'd really prefer living in 70 degree sunny Florida than 10 degree snowy Virginia. (And before you say it, yes I know it gets hot and humid over the summer. I've been there, and I can handle that.) My hope is this will help me to drop some weight and then keep it off while running some races. I've started to line up some races for this spring and summer. I haven't fully laid out my goal yet for a yearly total. As of now, counting the 2 I already completed, I'm already looking at around 7 this year. We'll see if that number grows. I want to use the races to help keep me in check. Of course, those checks come at a monetary price, so I need to keep the budget in check as well. Will I run more half marathons? Absolutely. Will I run a marathon? Yes. Not saying this year, but that goal is now out there. I just need to get myself the mental confidence there. Will I run Disney again? Without a doubt. 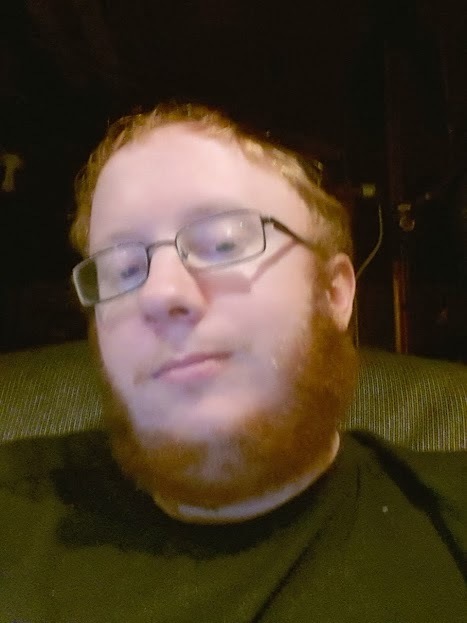 Am I done my journey? I have completed my goal! I have run my first half marathon! It feels so good and I am so happy. It wasn't easy, it wasn't perfect, but at the end of the day I finished the race, and that's what matters most. The day started early again. Well, earlier. A 2:00 am wake up call, leaving by 3:00 am is nothing easy. This got us there earlier than we needed, but was worth it rather than run the risk of not making the EPCOT parking lot and being diverted to Magic Kingdom. Derek and I met up right away, getting there about the same time. This time Steph waited with us in the staging area. She had the Platinum Cheer Squad, which gave her access and a tent area to relax during the race, as needed. The spot we picked was where there were some standing tables, fairly near a stage with music to get you ready. Right behind us, the beer cart. Then, something happened. Someone purchased beer. They were serving at 3:30 am. Luckily, Derek was the voice of reason (who knew he had it in him?) and we passed at that time. Soon came time to load to the corrals. Unlike the 5K, the corrals were down around the way and required a non-trivial walk from the staging area. I was set for corral K and Derek for P, as he did not submit his 10K time. Well, we were having none of that and were determined to run together. The plan was to try and squeeze by those checking bibs at the gate, but that was a no-go. We were informed what we already knew, I could drop back but he could not pull forward. I continued to walk into the corral, walked up about half way up and stopped on the railing to see what Derek wanted to do. In the last corral, we watched someone gracefully hop the fence unnoticed. I'm not saying I'd condone this, not saying we did anything, but Derek and I were soon safely together in the corral awaiting the start. Then the waiting game came and the excitement built. As they started the corrals, talking Donald would count down and fireworks would fire off. Or, on most corrals this would happen. As our corral reached the starting line it was 5, 4, 3, 2, 1, GO! Then.... nothing. No fireworks. As we started down the road, a couple minutes later we heard fireworks. Every person around me utter something similar to the fashion of "Oh, come on!" Our race started rough. Derek and I looked to run a 30/30, 30 seconds run followed by 30 seconds walk. We did this the best we could, given the crowd. Neither Derek or I trained as hard as we should have leading in to the race. Early, Derek's calves got tight. We worked through that only to have it move to his shins. We stopped as we needed on the side to stretch it out and work through it. Then, as we worked through that, Derek got a stone in his shoe. We just couldn't win. We powered through it and kept moving forward. The course ran starting outside EPCOT to the Ticket and Transportation Center, past the Contemporary and into the Magic Kingdom. Along the way, we saw a full on pirate ship, some glowing balloons, ran under the Magic Kingdom gate, past Jack Skellington and Sally and plenty of bands, cheerleaders and cheering friends and family. I even spouted off some Disney knowledge to Derek about dining plans and the monorails to pass some of the time. Magic Kingdom was one of the obvious highlights. We entered in the side and ran right down the middle of Main Street U.S.A. We turned in front of the castle into Tomorrowland, looped back through Fantasyland and out through the castle. There was a large crowd out front, which included my wife smack dab in the middle. She knows how to find the prime spot. After popping out through Frontierland, we were running back stage again. This is where I hit a wall. I struggled around miles 7 and 8. This is where Derek helped pick me up, let me take some extra walk breaks, but then urged me back into 30 second runs. I would have suffered much more there without his help. 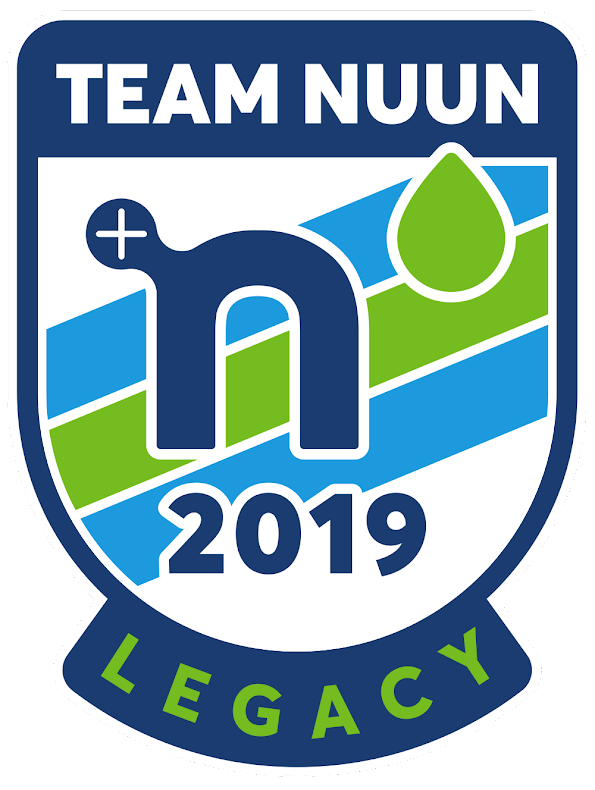 I hit an energy low and an upset stomach, because it was hungry after the early call and only had liquid from on the course. Added on top of that, I seemed to be tensing up as after ever run segment my shoulders would be tight all the way across. With Derek's help, I pushed through it. One thing that helped me from here on to the end was grabbing the Powerade to drink at the water stops then getting a cup of the cold water to dump down my head and back to give me a nice chill boost. My one character photo stop. Backstage, we passed several characters, including princes, princesses, a rusted version of Fillmore (the VW bus from Cars), a firetruck and a train. From MK we headed out along the loop, past the Grand Floridian and golf course to head back to EPCOT. Here I passed one of my favorites, Goofy, in a golf wardrobe for pictures. I snapped a shot as I ran. I didn't feel like I had the time to wait in any lines, and waiting would only make it harder to start running again. The same went for Lilo and Stitch. Then, came some of the hardest parts. The dreaded on ramps. 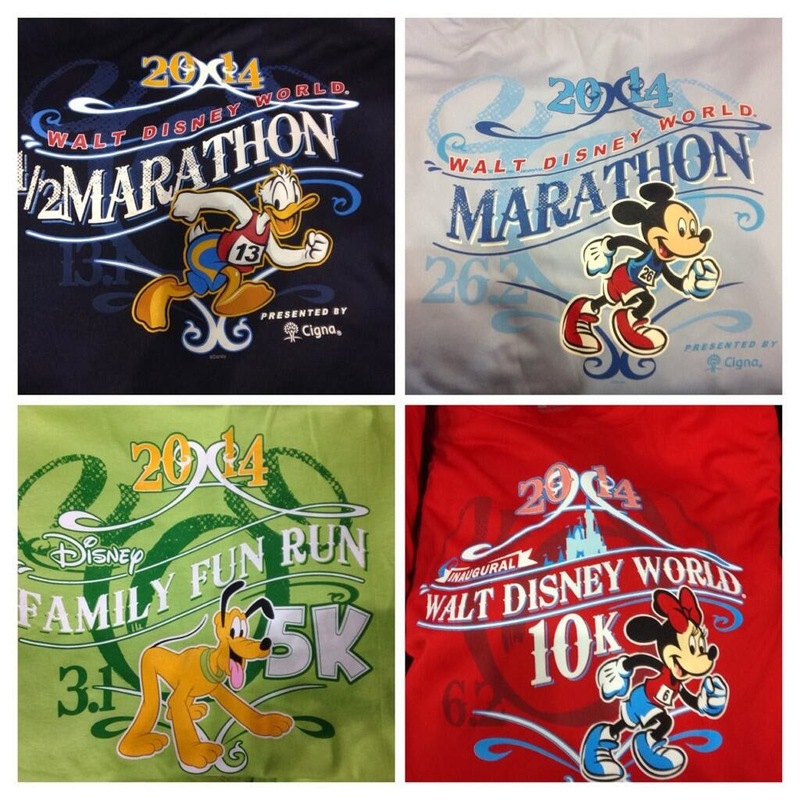 I've heard everyone talk about these being the hardest part of the WDW Half, as they're the only hill like part. The one thing I never heard mentioned, but plays a part in them being hard is the banking. It's a cloverleaf on ramp and is slightly banked into the turn, as you would expect for a car. This however makes it extra hard to run or even walk. I hadn't heard that called out explicitly, but I found that harder than the hill of the on ramp. There was one last fly over to go up and down to reach us back to EPCOT. The downhill of that really gives a boost mentally. We circled into EPCOT for the final push. This time, we didn't circle the countries, just Future World. At this point the excitement built even more. To add to it, cast members lined the course cheering. It was really great of them to cheer, not just those with family in the races. As we ran past the cast from the new Starbucks cheering for us, I asked where the coffee was. A little espresso boost wouldn't be so bad. We circled the fountain, and headed towards the front and the finish. Just before exiting was a gospel choir singing us through. Derek offered to drop back to help ensure I got my finish line pictures. I accepted this proposition and parted with a fist bump. Later, I also realized this meant no tied time with Derek ;-) I crossed the finish with arms held high and proud. I had finished my first half marathon! I turned to watch Derek cross the line, shared a high five, a hug and proceeded to receive our medals. As I noticed the first person just handing medals, and proceeded further down the line to someone placing them over peoples head. I know something small and silly, but that's what I really wanted. I looked down at the medal, my medal, and picked it up and gave it a kiss. After some ice for Derek, some bio freeze for my shoulders we found our way out to Steph. Along the way we grabbed some grub, some Powerade and water. She gave us both hugs and told me how proud she was. That felt good as well. I had come a long way and had finished the race. Sorry for the length. I know it's a little more than a "recap" but I wanted to share. They'll likely be several more posts about the run weekend and the experience, but I wanted to try and give a large whole picture here. Hope you enjoyed. In case you can't tell, I did. I conquered my first runDisney run. The race was the Disney Family Fun Run 5K. It was an experience (in a good way). I am so happy and psyched. The race day started early, with a 4:00 am wake up call. We wanted to allow enough time to get to the race, park and most importantly find each other before entering the corrals. Our group included myself, Dopey Dave, his friend Elissa and my friend Derek. We had been working on a group costume, but never could decide on a choice, so eventually leading up I made a decision that I wanted to race as Fergus from Brave. 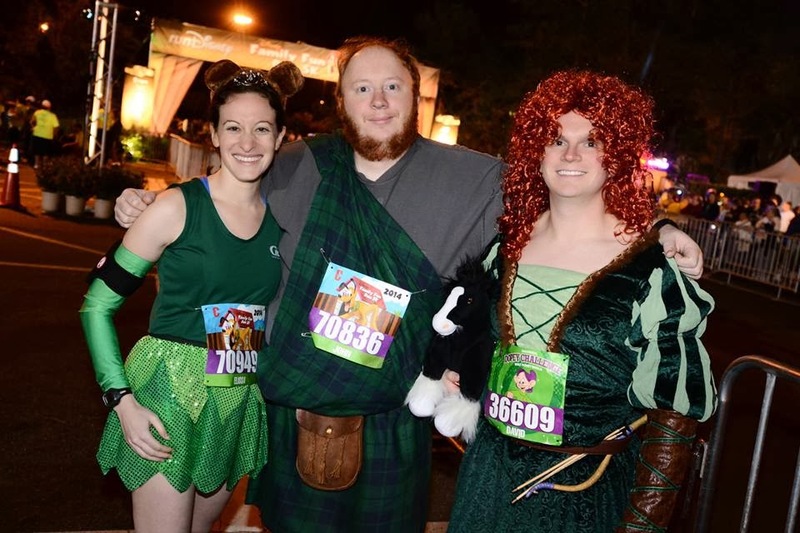 If you're not familiar with the movie, that means running in a kilt. For me, this was simple, as I already knew how to pleat a kilt by hand and owned a sporran (the pouch on the front). The main thing it required was a large piece of material in the right color. This lead Dave and Elissa to go as Elenor for Elissa (she picked first) and Dave as Merida. Unfortunately I didn't give Derek enough notice to get in on the fun. How do we look? Ready to run? Once we met up, it was priceless. Dave was in full costume of dress and wig. When crossing to the corrals, we were stopped by a photographer to get a picture, and he asked if we minded being used in marketing materials. We said "hell yeah!" From there, we loaded up in to corral E, which was the last corral, as Dave and Derek hadn't submitted times and we wanted to run together. As we waited they had a stage by the starting line with music and mic man and some occasional characters. One by one they sent of the corrals. Before we even started, the elites and A corral were finishing. We were itching to get started. That's not the time for my 1st mile. Elissa and Dave run at a faster pace than Derek and I. The plan was to run a slower pace and stay together. It worked well early, due largely to the crowds. With the bunches of people, Derek and I were able to take walk breaks and still keep up when things bunched up. The course started backstage which was cool. While backstage there was even a character stop with Flik and Atta from Bugs Life. 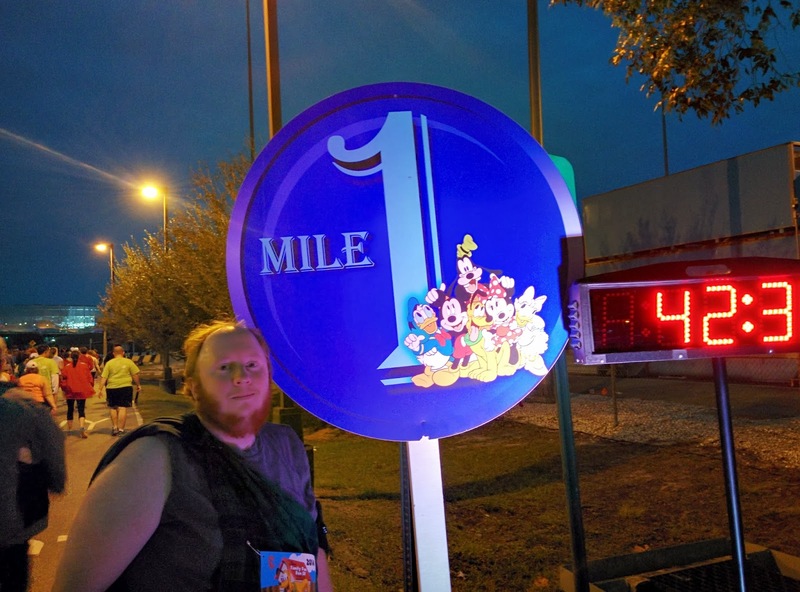 At mile one, Derek and I stopped to take a picture with the mile marker sign. Dave and Elissa didn't see us stop and continued on. Luckily we caught up as Dave stopped to take a picture as we ran under Test Track! How awesome was that?! We entered Epcot back around Mexico. From there we started circling back through the countries. Just in time, we had a water break. It wasn't overly hot but the Florida humidity was starting to kick in. Not bad for Florida, but it was starting up, so the water was a nice blessing. I called it out so the group would know it was all there but just Derek and I needed it. Dave and Elissa pushed on and out ahead of us. Derek and I tried to play catch up, but muscle memory took over and their lead was too much for us so Derek and I stayed together and ran our race, which was nice. We passed some other characters, including Remy and Emile in Frace and Dopey elsewhere as well. We didn't stop for any, as we were still pushing catch up but Dave had a timing requirement for the Dopey challenge. Frankly, the lines were quite long and I didn't feel like waiting anyway, as none were "all time favorites" for me anyway. Since I hadn't started my normal run walk timer, Derek and I kept picking points to run to then take a walk break and pick a new point. Most of our choices were probably putting us close to our 30 / 30 split we use anyway. As we came under Spaceship Earth, out the side and around the bend, we saw the finish line and finished strong. Without any official tracking, my unofficial Nike time was 44:36. I'll take that. We proceeded to get our medals, free Powerade and foods and meet back up with Steph and Claudia. I was so happy to get through my first race. But all I could think about was really my upcoming race on Saturday, with excitement. 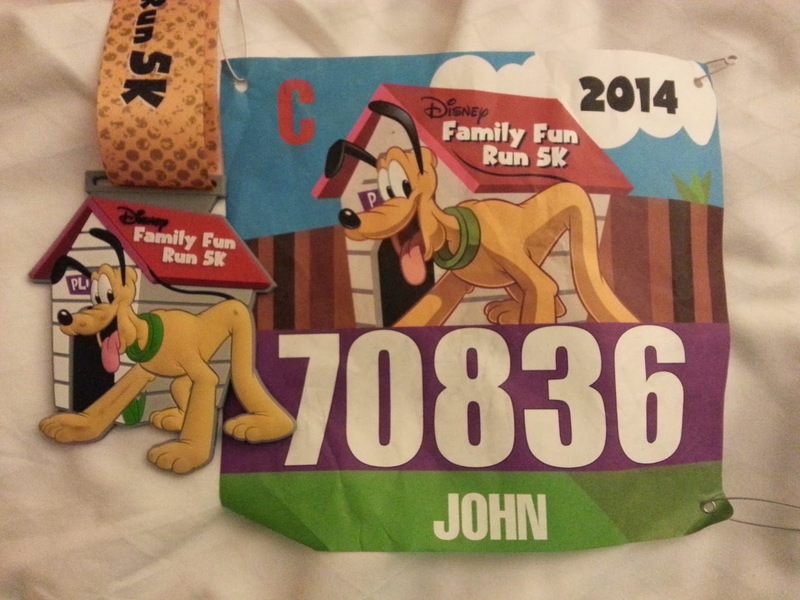 I was happy to have done a runDisney race, but the half is my real target. Here we come! Remember that photographer I mentioned? The one that asked if we mind marketing? Well, turns out, out picture was a good one. In fact, the one of the three of us above was from them. They used it on their Facebook gallery. In fact, we were having dinner in Italy (in Epcot) and one of Steph's friend texts her to tell her about seeing us on there. That made us happy. 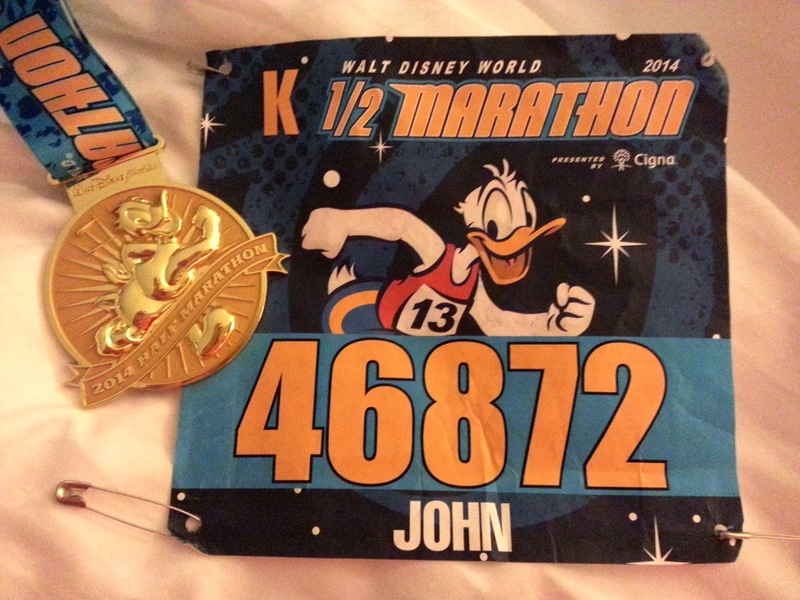 Then, we saw the official race recap from runDisney on their blog. Who is that on top? Our scottish clan! That just made my night like you wouldn't believe. So there has been plenty of "leaked" information (read: partial information) about the upcoming New Balance Disney running shoes that would come out at the expo this year. Last year they launched a Mickey and a Minnie inspired version of their running shoes exclusively available at the Marathon Weekend Expo. They were more than just a little success. They sold out extremely quickly to LONG lines (I have read). So of course, as you would expect, they would make a return. 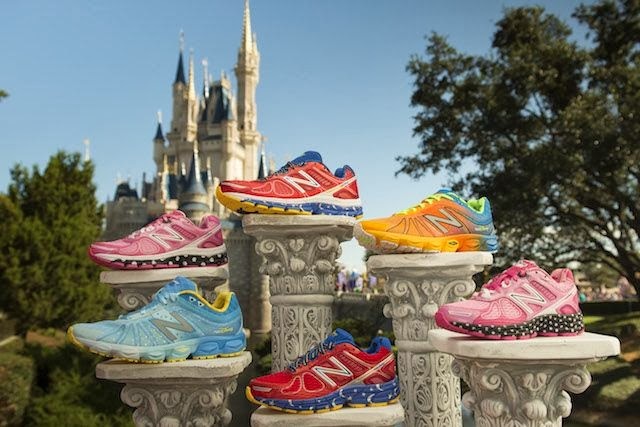 New Balance has a partnership with runDisney which is paying off. They are releasing a Mickey Men's and Minnie Women's inspired versions of the 860 v4, similar to last year that provides more support. New Balance has listened to the runners and is releasing more versions of their shoes. In addition, they are releasing a Goofy Men's and Cinderella Women's editions of the 890 v4, which is giving a more neutral shoe. 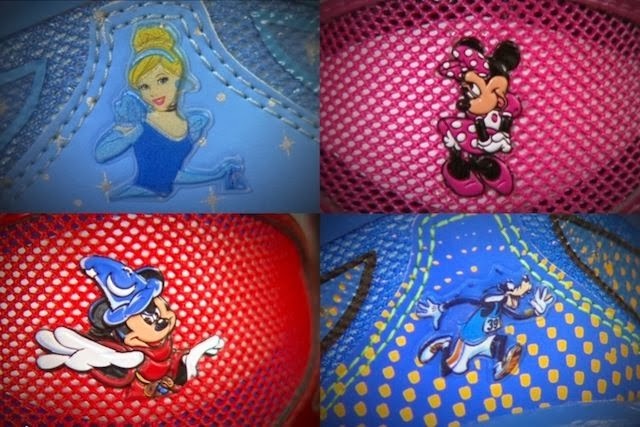 This gives runners with different needs in the shoes options to get a Disney based shoe. Personally, I love the Goofy shoe, and not just because Goofy has always been my favorite. I really like the colors that go with it. My current shoe is the Asics Gel Kayano 19, which provides me more support, so I am likely going to need 860 even though I'd prefer the 890. My plan is to go to the Expo, get my appointment to meet with them, and try them anyway. No harm in trying. In the end, I'll get what will work for me. I'm not going to drop $120 on shoes I can't wear. And Sorcerer Mickey ain't so bad. 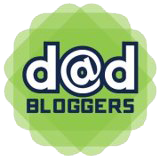 And for a more detailed look, watch this.